Phillip Lim‘s projects are known for their understated and sophisticated charm. His line, 3.1 Phillip Lim, alludes to the age at which he started the label, although with his new 31 Hour bag he makes an accessory for those who “live life to the fullest.” Should one’s schedule require more hours than are contained in a day, the 31 Hour bag can either be folded or extended according to the user’s needs, resulting in a roomy, versatile carryall suitable for every occasion. Constructed in a polished, shoulder-strain cowhide, the unisex bag also features a fully-zipped fold over top to securely contain everything necessary for a busy lifestyle, plus some. Add a hit of urban luxury to your accessories arsenal with Phillip Lim's 31 Hour bag. Oversized and streamlined, this spacious tote is an ideal carryall for both city-bound and weekend use. 3.1 Phillip Lim 31-Hour bag is both sensible and stunning. With a roomy, structured silhouette and glossy leather construction, it will take from board meeting to birthday party and everything in between. After all, fashion is nothing without function. Phillip Lim, who interned with Katayone Adeli, debuted 3.1 Phillip Lim in 2005 to critical success. The designer-born in Thailand, raised in Southern California, and residing in New York-is known for clothes that are refined, chic, and effortless. Sometimes there aren’t enough hours in the day to change outfits—or handbags—in between business meetings, dentist appointments, the gym, and that cocktail party you have to swing by. 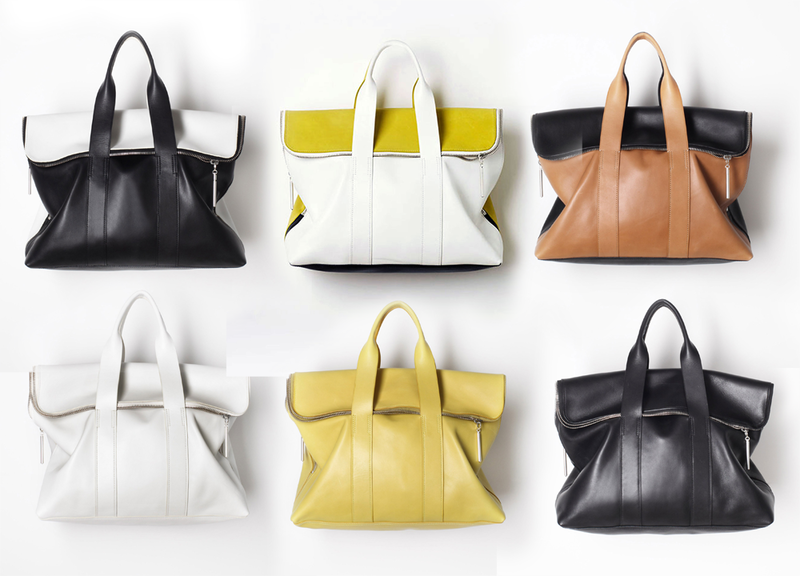 Phillip Lim has come up with a solution—the 31 Hour bag collection. You can watch the bag in motion in this video. Absolutely love this post, this bag is such a classic! Love it in the colorblock series! I didn't knew that this bag was Phillip Lim! I love the shape and the fact that it cans match with many type of outfit! you have a nice blog by the way! I really LOVE it because it helps to know more about luxury handbags and designer. In add, it's a great place of inspiration for beautiful things lovers! Thanks again for your visit last time! Nice coverage on the bag! That bag is very cool. You make really outstanding posts. And I adore Philip Lim, great bag! my dream to have it! Great post! I love this Philip Lim model! BTW I also like your blog so I'm following on GFC . Would you like to follow me back? such a gorgeous bag.... the new 'it' style! thanks you too vsit my blog! Do you want to follow each other! kisses! I abosulutly love Philip Lim bags!!!!! love love love!!! total bag-gasm on a couple of them. So you seriously work in Selfridges: GOSH, shoppers paradise! I need one of these bags in my life! I follow you now! You follow me back?? Thanks for following dear! I'll be expecting your next post!! Very desirable bag ! Love the classic black !